EDIT: SUNDAY 1/17/2010 – We have a winner! Scott M (comment @ January 13, 5:01pm) was selected as the winner! Congratulations to Scott and thank you all for entering! In 2 weeks, we are giving away the Dragonborn books, so check back! It would be really cool of you guys to give my sponsor, Gator Games, a visit. Why not follow them on twitter? If it wasn’t for them, there would be no free stuff for you to win. Good luck! Well leaving a comment is cool. RPGKIDS shouldn’t limit it just for the thought of children, It can show people how to Role play and not worry about rules. Like Symatt above, I would love to have won some free minis (as you say; who doesn’t like free minis!) but I am UK as well. Boooo. How about us frigid Canucks (not that my car looked like Chatty’s this mornin) can we enter for free minis love? As someone living in the US, you can sign me up for the drawing! If all the previous commenters are ineligible, then I’m FIRST!! I am excited about Druids and Barbarians! Hooray for building a fledgling minis collection! I’m an American and count me in as well! GoGo Gadget Gator Games! Great contest, Newbie; as well as a great way to gather support for your FLGS! I’d like to enter the contest, please. Count me in as well man! I love me some miniatures but they get pricey fast. Sign me up, please! Cool! Thanks for another contest! Great contest! Love your site and your posts. I’m trying to get started as a dm as well for my local gaming group as well as my wife/son an these minis would help out on the rpg for kids. Oh! So exciting! They would be my first minis ever! (New girl gamer) My DM gifted me my own dice set on my first night of D&Ding. I was so happy, I wouldn’t let them out of my sight! I’d like to sign up for the content, too! I love these contests! !!! Sign me Up! Free stuff FTW! Count me in. One can never have too many minis. Well, let’s see if I win something for once. Put my name in for the contest please. I live in the US and my e-mail address is being entered in the appropriate section of your “Leave a Replay” forum. Heck yes I want some minis! Cool contest. Thanks for the great site! The primal power source is my fave. YAY! 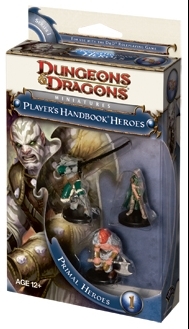 Sweet, I’m just getting back into D&D (left before 3rd Ed) and these would be so nice. I can always appreciate the chance to win a free prize in a contest I am geographically eligible for. Love the posts newbiedm. I am also a dad adn love the posts about gaming with kids. Im going to try out your system with my kids once they are a bit older! Thanks, @newbiedm and @gatorgames! Keep up the great posts, etc! Thanks for the contest and the great content. Cool beans, I’ll take some minis! Love the FLGS! Woohoo, twitter-free contest! Count me in. everyone loves minis. and everyone loves free things. yay for free minis! Long time lurker of your blog – thanks for all the good reads! Yay! I’d like some minis. Haven’t eaten a good barbarian’s head in a while. This is a beautiful thing to see moments after I’m informed by three members of my gaming groups that they want to be druids/barbarians. I could sure put those minis to good use! I’m looking to buy some, and they could sure jumpstart my endeavors! Awesome contest! Is it me though, or are the class/race combos from these packs usually weird? I’d love to enter for free minis! Great contest, may the best random gamer win! I just started playing a 4e Druid and could make use of a good Druid mini! Sounds excellent. I have a few Primal players in my game and I plan to bring in some Primal NPC’s/Villains so these would be perfect! Okay, I’ll enter. Minis are one of those things where I’d totally buy them if I actually gamed more often. Free minis, though? Perfect price point. Barbarian Rawr! Sign me up! I’ve got a few barbarians to charge my players with rather soon. Id like some of that action… the pack even represents my wife and I.
Shes a greeny, and I look like the wild man from Borneo. As a game junkie I would love some minis! I imagine Primal Heroes will finally include some shifter minis, but my Deva player is still feeling the cold shoulder from WotC. I have not yet been to Gator Games, but since my (relatively recent) employer has an office in Redwood City, perhaps I’ll get to swing by. (I’m located at the office in Bakersfield, which has recently lost one of its game stores.) And since I’m still digging my way out of the Game Hole created by unemployment, I’m sure hoping to win! Yay! I love free minis! Count me in for the drawing also. Enter me in the contest. I would just like to say a big thanks to you and gator games. I also have a couple primal PCs; free minis are always fun too :D. Sign me up! I’d like a shot at ’em!! That’s cool, I didn’t realize Gator Games was in the Bay Area. I’ll have to check them out. Sounds like an awesome give away! Well, I’m hoping I get me some minis. Regardless of whether I win or not, I’m still glad you two are doing such great efforts at promoting the hobby. I have only five minis so far… This would be an awesome win! These would be my first minis! My friends and I really really could use these. Please let this comment win!!! Who doesn’t like free minis? Great to see how many followers you guys are attracting, BTW. I am looking to start my own game with my buddies and could really use some minis. Come lucky comment! By the way, I found your site while looking up tips for making my own custom Dungeon Tiles. I loved your tutorial, and can’t wait to try it out! Running 4e for my 12 year old and his friends. Their first gaming experience and my first in many a year. Thanks for your valuable blog! Please please. Mini mini me! Ah, very awesome stuff! Never hurts to have some extra primal minis! I’d like to enter as well. Thanks for all the great posts and info! This is great, yet another reason I enjoy this blog. Love the blog, also. followed Gatorgames link on twitter. Hoping I can win these! I was born the son of a poor sharecropper. Please give me a chance to win your minis. They serve to scare of the mice. I heard about your blog through the Spotlight interview, and I’m interested. The miniatures sweepstakes sounds pretty awesome too, especially considering I’m an American. Hey, neat! This is my FLGS! And, btw, thank the folks at DDI for the referral. Count me in for loot! Excellent blog! I wish you were around back in the early 80s as I was working on my DM chops! I followed your interview on the official D&D site to newbiedm.com and fell in love. If I can win some free minis then that will just be the icing on the cake of some very useful information. Thanks. I love free minis contests! Sweet website. Found you from your recent WOTC interview. Found out about this through the official D&D website. As a new DM myself, I’m so happy to have found this place. Very nice information. Have to love the help for new DMs. We love to rotate new DM’s into the game for variety and it gives them the chance to put their mark on our home brew world. Found through WotC, very interesting site, glad you did the inverview. Have been enjoying some of the things you’ve been posting; keep up the good work! And congrats on getting mentioned on Wizards site – that’s got to feel pretty good. On your kids rules: after reading them I tried out a race on a chessboard with minis and a 6 sider for movement. Definitely made for a happy 4 year old. Thanks for the inspiration. Oh, and one more thing (aside from hoping we win the minis). We’ve given our new DM a chance to learn the ropes by running through the Dungeon Delve book. We started characters at 1st level and ran through the 1st one, leveled did the 2nd, etc. up through 8th (current). Hope to make it all the way to 30. It’s been a good way to intro the new guy and give us all a chance to play higher levels than we have before (our regular group has only gotten as high as 7th. Our new DM has grown in confidence and his ability to run at an amazing rate. And since we’re rotating DMing, we’re all having a blast. Cool site. I have been playing for a long time and DM sometimes. I never feel like I am very good at DMing. Look forward to your posts. Thanks. First time dropping by, looks like a neat site! I’m tired of playing as a shirt button. Please, please, please let me win. Just found (and followed) your blog thanks to the spotlight on DDI. Yay! I’ll toss my hat in the ring for some minis, too! Just discovered this blog, I’ll be checking it regularly now (I have a moderate amount of DMing experience, but different perspectives and ideas are always useful!). Also, count me in on the contest. The Druid’s my favorite class. I would like to enter. This is a very interesting blog and its amazing that I found it. I love the shaman and druid classes. I’m in. E-mail’s in the comment form. Just checking out your blog. Seems pretty cool! Good luck with it. oh, and enter me into the contest! Sweetness. I hope I can win. Would love to get some new minis. My players would love these. You would not believe some of the stuff we’ve been forced to use for minis. Three of them are first-time players, so it would be a real treat for them. In retrospect, you can probably pull our e-mails from our replies without seeing it. If you can do that please wipe our my other post, as good as gmail’s spam filter is, an e-mail address in the wrong hands is an annoying thing. I am in, just found this website and it is great! 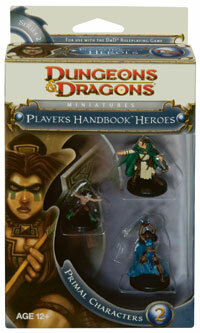 Free D&D PHB Primal Heroes? I could always use more Heroes! Really appreciate you guys doing this. Sign me up! I would like to win! Please? I will enter this contest. I’d love a chance for some minis! Like you, I started DM’ing when 4e came out. I’ve played other games, but when our regular DM got pulled away, the group looked to me to put something together. I really appreciate your site! Please Sign me up for the Mini Drawing. I’d love the chance to enter and be able to use them with my kids. The new guy to my group has been asking after a good druid mini and this is an excellent chance! I use troll and toad’s random assortment miniature thing. It’s worked out well 2 times, with a few repeats, but my mini library is growing. This should help immensely with my actual PLAYER’s minis. I would not be opposed to getting some minis. Great blog! Hey, this is a cool blog. I’m glad the DID Insider led me here. Those new primal minis would be great to add to my collection. Sigh me up, just found the site today and its great. Sounds great! Love the blog, will add it to Reader. I just read about you on the DDI page. Does that give me an enhanced chance of winning? Mini fig entry is a go! We mix minis, use dice for stand-ins, etc. Thanks for the contest. I’ve just started insisting on the use of minis in my campaign. Also I’ve got two young nephews I’m going to try out rpgkids on. Great blog site, please add me to the list for the contest!!! I’d love to win some mini’s! Oh, Free stuff, sweet…. add me to the contest list please. The new minis are cool — All of mine are the old lead, hand painted ones. Have a lot of good memories of using them in games. Thanks for your blog. I recently decided to give DM’ing a shot and you’ve been a big help. Man. All these guys that came over from the Wizards site just ruined the odds for my regular readers. Awesome! After DMing and playing for about 15 years I’ve just been getting into reading D&D-related blogs. There’s a lot of neat stuff out here! Please send me minis, because I’ve been using pennies to represent my character. When I received one of the pieces (the Goliath) as part of a game day package, I wasn’t really impressed with the paint job. However, free minis is free minis. I always sketch the my maps on graph paper, then write and erase on the paper, using letters with small numbers to represent players and monsters. Never even held a mini before… I would have all kinds of minis if I had a job. I’d love to win some mini’s since I’m just getting into DnD and could definitely use them to expand my collection. Who can’t use more Mini’s? Could always use more minis! I’m starting a new campaign with my children, after a 20 year lapse in gaming. Hope I win! Why, yes, I would like to win some free minis, and I do happen to live in the continental US. 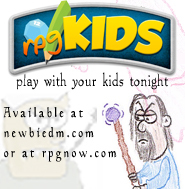 I even have young kids I’d like to get started on roleplaying. And, free minis, you say? Well, who wouldn’t want that! I would love a chance to win some free minis! Awful lot of people posting comments. Is there a rule about people posting more than once to win this contest? Just found your site, and so far I am really appreciating what you’re putting out there for newbie DMs like myself. Just found the site (Thanks, Wired Geekdad) and like it so far. Keep up the good work! Hoping to win some minis! Great site, btw. I think this is a great way to get D&D out there. I just wish more people played around my area! Just found this site and I love it. Plus, free giveaways? I’m in. I love Minis! I hope I win! Or at leas someone close to my comment! Free minis?! Sign me up! Like some others, I found the the blog through the spotlight article. I can’t wait to really dig into what is here. And Gator Games, cool. I have been there with some friends for a 40k tournament. It is neat, if a bit small, store. I feel my chances REALLY shrinking but never the less. Really excited about finding your site. Just got started in Dungeons and Dragons. We’re playing tomorrow night. I’m the DM and we have 4 steady players and 2 that come off and on. Hard with everyone’s work schedule. LOVE the site (especially the downloads section). Anyway, keep up the good work! Everyone loves free minis . . . especially pretty painted ones that you don’t have to piece together. Only us crazy ones like them! I just recently got some friends interested and we’re JUST about to start our first real DnD campaign this tuesday. I’ve never DM’d before. I’m totally excited- and totally have no idea what I’m doing. And totally have no minis! I first heard about you through Shelly’s column, taking a look around. Good stuff. Puppy ate my minis, now I need new ones. Sign me up for the drawing please. Websensed @ work, but I remembered to comment from home! Really appreciate the blog, as 4e is my first encounter with tabletop gaming, and thusly with DMing as well – your posts have been quite helpful. And hell, I can always use more minis! “Scott M said this on January 13, 2010 at 5:01 pm” was randomly selected to win the packs of minis. Congratulations to you and a big thanks to everyone who entered. In 2 weeks… Dragonborn books will be given away thanks to Gator Games!